The blogosphere is filled with many Apple Inc. (NASDAQ:AAPL) bulls and bears, each electronically interacting in a sea of information each day, in a fashion that’s, well, beautiful. If we can imagine financial journalism as a tool to provide a beacon of light to shore-searching shareholders, then Apple’s investor base is the proverbial 1,000-foot sailing vessel, that’s seen a few too many rough seas. 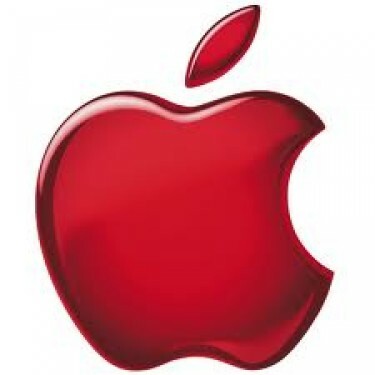 Over the past six months, shares of Apple Inc. (NASDAQ:AAPL) have lost more than 37% in value, shedding more than $220 billion in market capitalization during this time. More recently, shares have dropped below the $400 mark, passing through a key psychological level in the eyes of many investors. While most of Mr. Market’s attention on Apple is with regard to its upcoming earnings report, there’s another topic that has been seething through the stew of daily speculation surrounding the tech giant. Most deviously of all, it [Samsung] took a massive short position in Apple in the U.S. securities markets, putting selling pressure on the stock and tarnishing Apple’s once-glowing reputation on Wall Street. OK, so that last bit is admittedly a stretch and purely speculative. Apple’s shares were due to fall of their weight as the company entered several quarters of tighter margins and slower growth. But the rest of this nightmare fantasy is pretty well-documented fact. Each of those points about Samsung’s philosophical position against Apple Inc. (NASDAQ:AAPL) is grounded in reality, but the suggestion that the South Korean multinational is involved in a short-selling campaign against the company’s common stock is not just out of this world, it’s out of this dimension. Yes, think about that for a second. Reading this quote again, it begins to look more and more like a line out of a fictional financial thriller, not a newsworthy Apple Inc. (NASDAQ:AAPL) article circulated amongst the masses. But hey, this isn’t the first CNN article about Apple that has–inadvertently or not–had a questionable storyline about the state of Cupertino (in the past week, no less). So, let’s actually take a look at Apple’s short interest over the past year (on the following page). Google Inc (GOOG), Apple Inc. (AAPL) & The Three Largest Surprises in... Apple Inc. (AAPL) Is Killing My Portfolio Apple Inc. (AAPL): The Single Greatest Challenge Investors Will Face on Tuesday... Radian Group Inc (RDN), Apple Inc. (AAPL): Here’s What This Big Value... Apple Inc. (AAPL): How Cheap Will The “Cheaper” iPhone Be? Facebook Inc (FB): Did It Launch the Branded Smartphone Phenomenon?